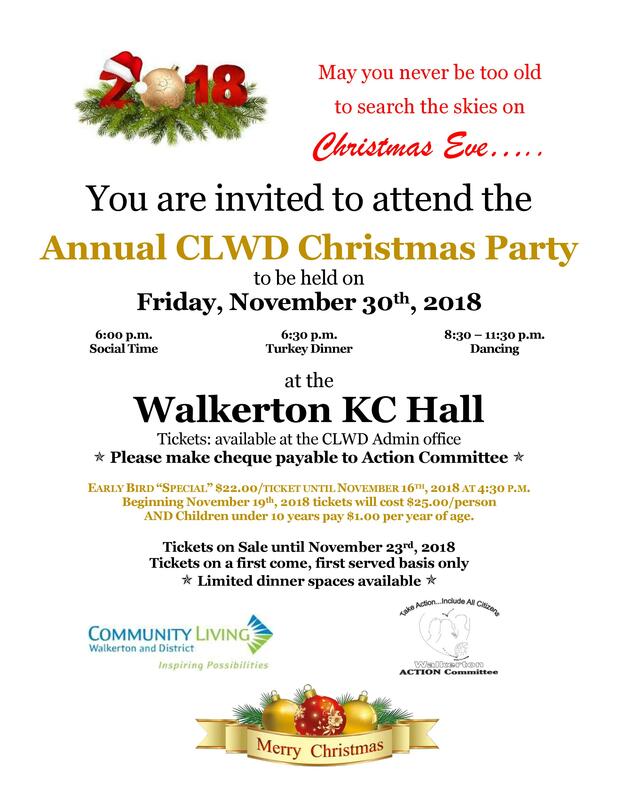 The Action Committee is busy again, preparing to host the annual Christmas Dinner and Dance for Community Living Walkerton and District. Join us on Friday November 30, 2018. Join us at the Knights of Columbus Hall between Walkerton and Mildmay at: 6pm Nov. 30th for social time followed by turkey dinner, entertainment, door prizes, a dance and late lunch. Tickets are on sale until November 23. Early bird tickets are $22 until Nov. 16th; then the cost is $25. With a new design comes a new focus! Walkerton Action Committee members have been busy! September 13 and 14, 2018 were remarkable days for friends from Walkerton attending the 65th Annual Conference of Community Living Ontario, held in Richmond Hill. If Inclusion Means Everyone, Why Not Me? The January issue of Vision is ready to read....under the Resources tab on our web page menu (above). Issue 63 of Spotlight on Transformation has been published....from the Ministry of Community and Social Services. Click here for the next issue of Spotlight from Ministry of Community and Social Services....issue 62.